Individual package ensure clean and health. Perfect for both professional and personal use at home. 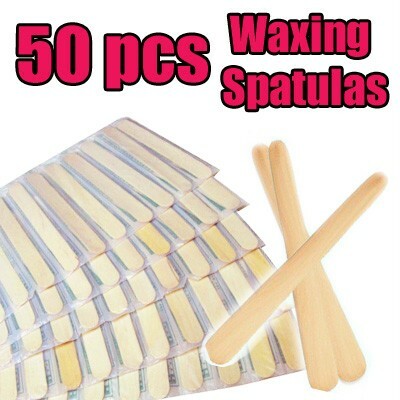 50 PCS disposalbe wooden spatulas for applying wax for hair removal. It can be used to apply any cream or wax for testing or demonstrating purpose. It can be used as tongue depressors too.